Steve the Science Guy will be at Trenton Elementary for student assemblies today. He will be selling Science Kits for $1, $3, and $10 on Tuesday, Wednesday and Thursday mornings before school from 7:45 - 8:20 in the Amphitheater. The Trenton Elementary Christmas Shoppe will be open this week before school and at select times during the school day. Be sure to come by to find a special gift for loved ones! Tonight is the Winterfest from 6-8 pm. We hope to see you and your family there for a night of winter fun! The school Spelling Bee will be held in the cafeteria at 9 a.m. tomorrow morning for 4th and 5th grade. Good luck to all participants!!! Don't Forget- Today after school is Recorder Club practice. Tuesday Night @5:30 there will be a Chaperone Training and Ebook class in the Library and Comp. Lab @5:30. Don’t miss this opportunity! Monday is Early Release and the Veteran's Day Parade @10 am. Be sure to wear your red, white, and blue in support of those who have served our great country! Students will be watching the parade as it starts in the bus loop. With cooler weather in the air, please be sure that your child has their name written in their jacket. Write it on the tag or inside along the inside hem. This will make it easy to be returned in case your student misplaces it! This week is Red Ribbon Week. Tomorrow is wear blue to show our commitment against bullying. Let's turn our campus into a sea of BLUE! Tomorrow is picture day! Be sure to wear your best smile!!! Tomorrow will be Awards Day for Pre-K at 8:45. Awards Day for Kindergarten and 1st grade will begin at 9:15. Both programs will be located in the cafeteria. We are proud of all our Tiny Tigers! Don't forget that tomorrow will be AR night! This is a great opportunity for you and your child to come and check out books to read together and earn points towards AR goals. We hope to see you there! Don’t forget there is no school tomorrow, Oct. 19th. Enjoy your three day weekend! 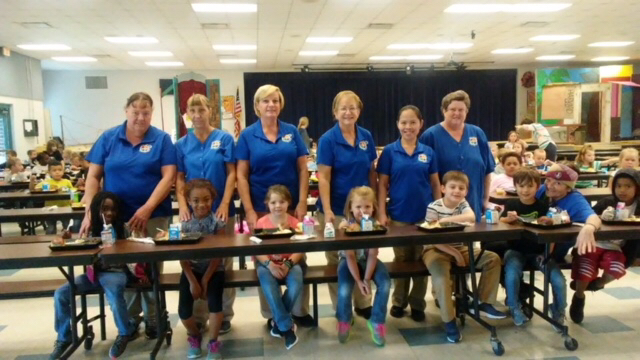 It's National School Lunch Week - Be sure to check out our school cafeteria! Where else can you get a meal plus a drink for FREE!? School will resume Friday, October 12th at 7:45 a.m. We look forward to seeing each of you bright and early! Be safe with your families! We will let you know as soon as possible if there are any changes to our school schedule Thursday or Friday. RE: Hurricane Michael - All schools will be in session tomorrow with early release at 1pm. All school events after 6pm on Tues will be cancelled. All schools will be CLOSED for students and staff on Wed 10/10. An announcement will be made by 6pm on Wed with further info. Please keep in mind that GCSD will keep you informed as the hurricane approaches our area. As soon as we know anything, we will let you know. The safety of all our students is a priority at all times. Tomorrow is the last day for the Book Fair. Be sure to stop by to find a new favorite to read! 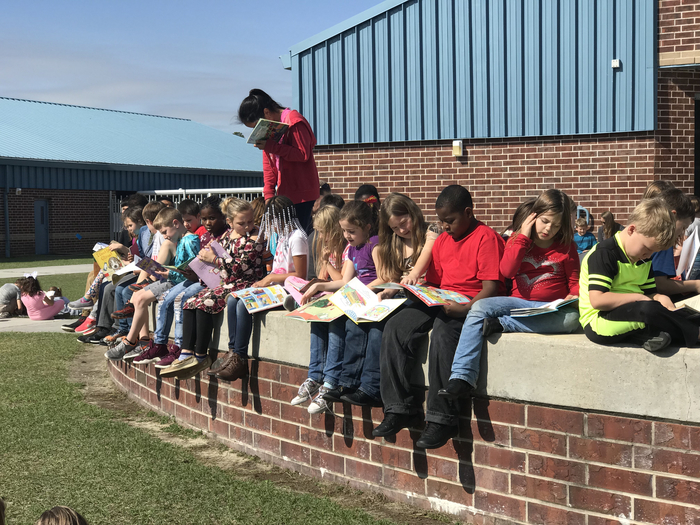 Don't forget there are only two days left in the Read-A-Thon! 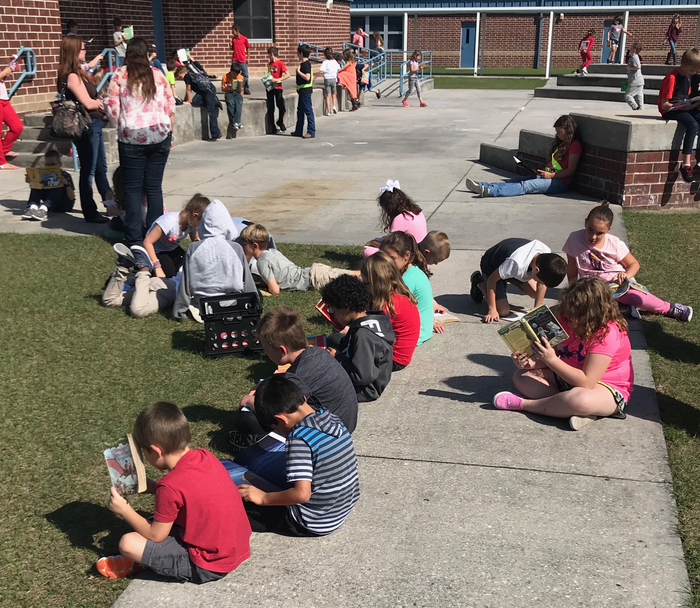 We are so proud of ALL of our students and their commitment to read more! Don’t forget to take time to visit the Book Fair this week! Students can go during their wheel time or set times during the day. There’s always an adventure waiting in the book! Tomorrow is Orange and Black Day! Make sure you wear your Tiger colors!!! We would like to invite all our Dads to join their child for breakfast tomorrow morning for a cinnamon roll for National Dads Take Your Kids to School Day! What a great day we had with Character Day! Don't forget tomorrow is Tye Dye Day! 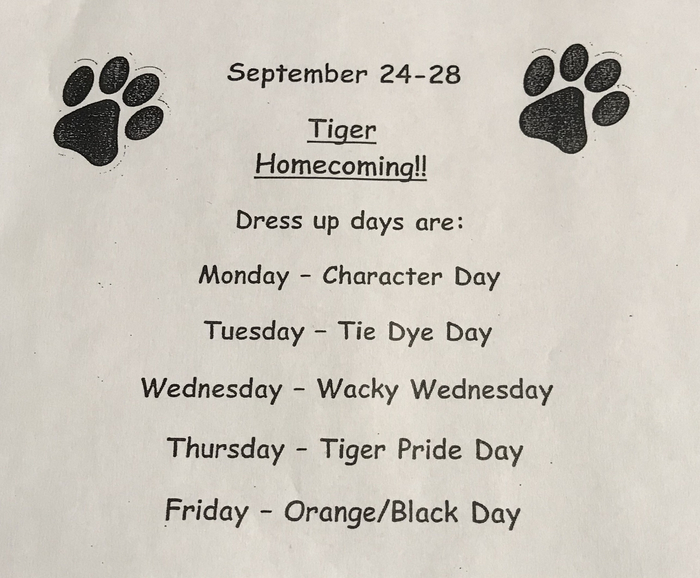 Don’t forget to show your Tiny Tiger Pride this week! Don’t forget about our free school breakfast and lunch program for all students daily! 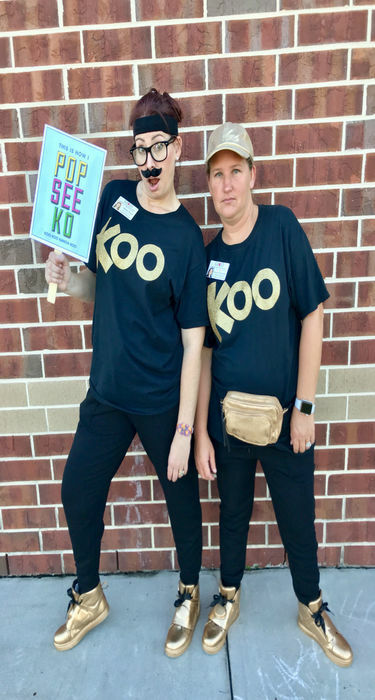 August 27th there will be a PTO meeting in the front office at 4:30 p.m.
What an amazing first week we have had at TES! We hope you have a wonderful and restful weekend and can't wait to see you first thing Monday morning! Please join us Friday from 5:30-6:30 for K-2 Open House. Class lists will be posted and available for viewing in the front office Wednesday. Please note that due to confidentiality laws, no photography is permitted. Tuesday will be Spring Fling - Water Day. Remember, no bathing suits, wear water shoes (not flip-flops), bring a towel, and dry clothes. If your child has medicine in the health room, please pick up by 1:00 p.m. on May 25th. All medicine not picked up will be disposed of. Friday is 5th grade Awards Day at 8:45 am. Thursday is 3rd/4th grade Awards Day @ 8:45 and in the evening is Kindergarten Graduation and Awards for Loy, Russel, & Morrison at 6 pm. Wednesday is the 3-5th grade AR field trip to Get Air. Tuesday, May 15th will be Awards Day for 1st-2nd at 8:45. K Graduation/Awards for Kearny, McKenzie, Reed, & Allen @ 6 pm. 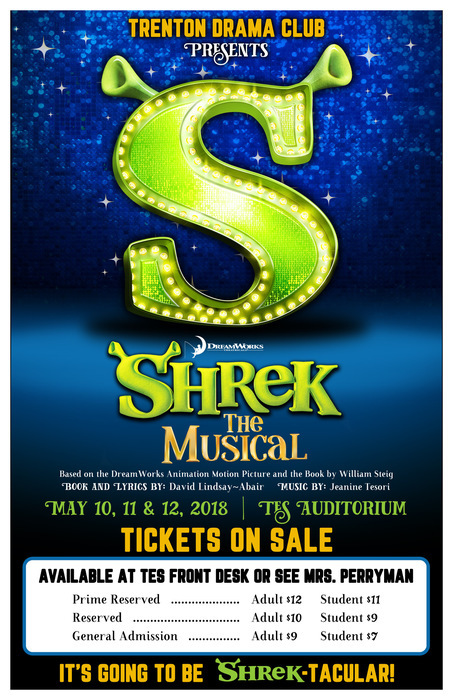 Tonight begins the Drama production of Shrek the Musical at 7 p.m. We hope to see you there! If you can't join us tonight, they will present it Friday and Saturday night. Thursday will be Field Day for grades 4-5. Be sure to send students dressed in shorts and sneakers. Also, bring plenty of sunscreen! Concessions will be available. 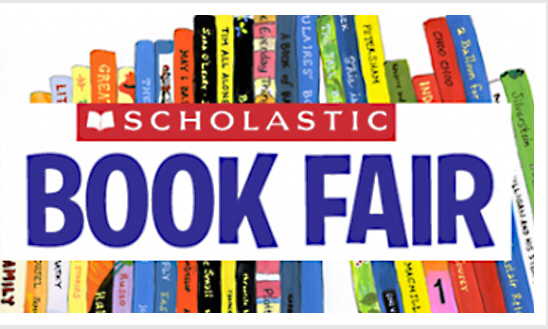 Wednesday, May 9th, is the last day for the Book Fair. It will be open throughout the day. Tuesday will be Field Day for grades 2-3. 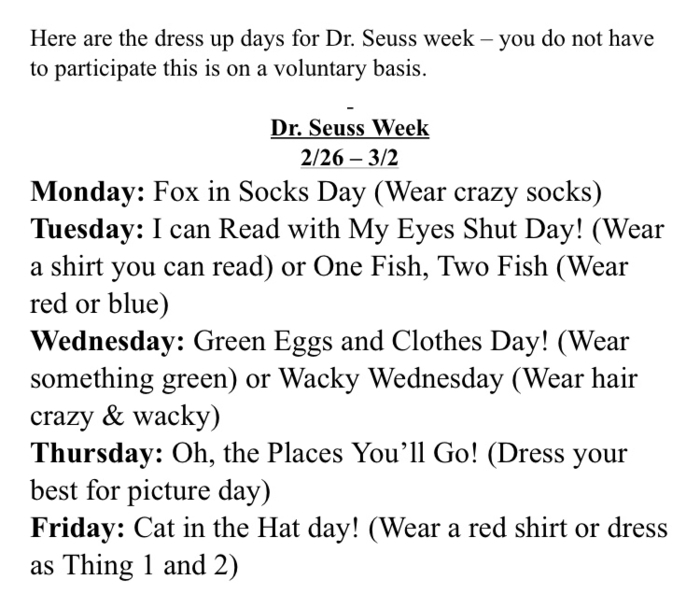 Be sure to send students dressed in shorts and sneakers. Also, bring plenty of sunscreen! Concessions will be available. Tonight is Relay for Life at the Trenton Train Depot from 6 pm-12 am. Be sure to visit the TES booth for fun and prizes. We can't wait to see you there! Tuesday from 3-6 pm is Parent Night at the TES Book Fair. Be sure to stop by and discover some great summer reads! K-2 will begin SAT-10 testing tomorrow. Be sure they are at school on time and well rested. 5th grade will begin Math FSA tomorrow. 4th grade has finished all their FSA testing! Yay!! Be sure to stop by the Book Fair today through next Friday, May 4th!! Located in the 2nd grade building. 4th and 5th grade FSA Reading make-ups will begin tomorrow. Progress Reports go home on Monday, April, 23rd. 4th and 5th Graders begin FSA testing Monday. Be sure to go to bed early Sunday and don't be late Monday morning! Tuesday will begin FSA Math testing for 3rd graders only. Please don't forget that there is no school on Monday. Have wonderful weekend! 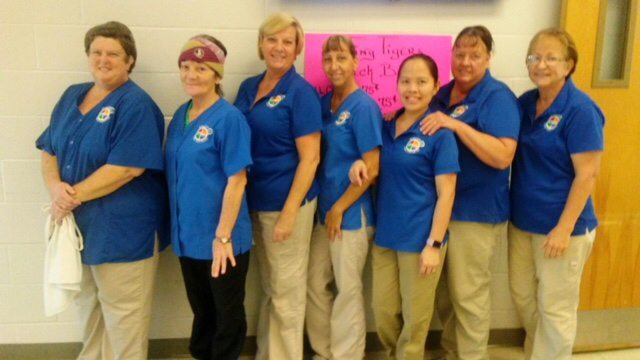 Here at TES we have the best students and staff! Don't forget 2-5th grade parents to order a t-shirt for your child for Field Day! Money is due this Friday, April 13th. FFA Plant Sale tomorrow at TES from 8-12. Come out and support our Middle/High School FFA!! Don't forget that tomorrow is Early Release at 12:45 p.m. Also, March 19-23 is Spring Break. Enjoy your break! 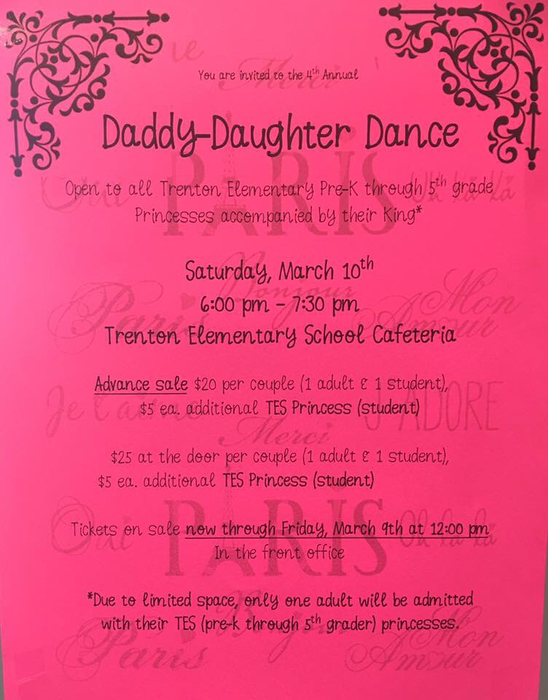 Don't forget that the Daddy-Daughter Dance is tomorrow at 6-7:30 pm. You can purchase tickets at the door for $25 a couple. We hope to see you there! Tomorrow is Spring Picture Day! Be sure to come to school dressed your best for class pictures and individuals! Tickets are on sale now in the front office. The Florida Forestry Service provided an awesome standards based lesson for our 3rd graders yesterday! 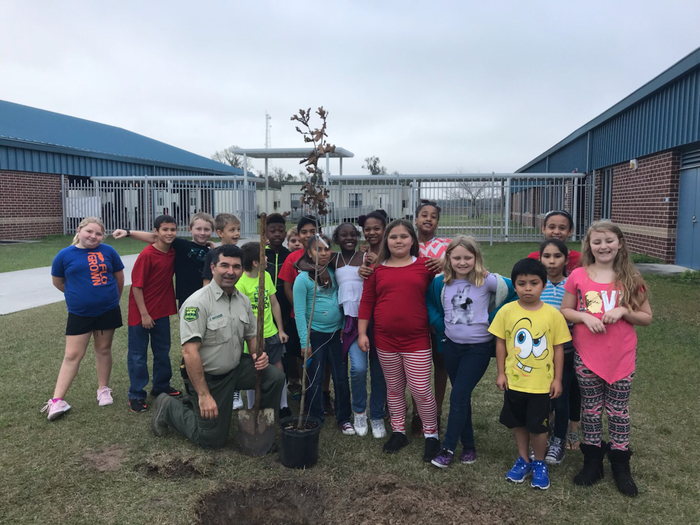 Each class also assisted in the planting of their very own oak tree. 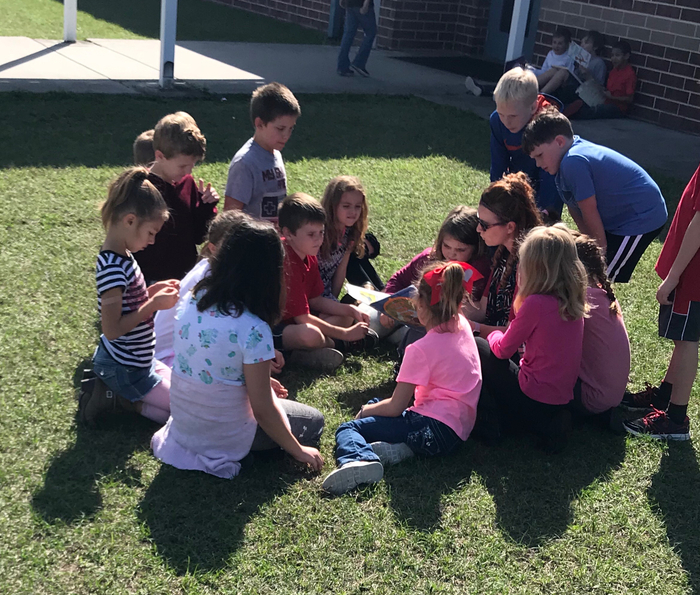 TES celebrated Literacy week by reading on the lawn! Don't forget to meet us at the courthouse tomorrow for the Education Foundation Walk-a-Thon! TES will be having a cake auction tomorrow. All proceeds will go to the Gilchrist County Education Foundation. The cakes are baked by some of the finest bakers in Gilchrist County. If you would like to bid on one of the cakes, please call the front desk at (463-3224) and speak with Ms. Sandie - she will be glad to help. Be on the lookout for this flyer! 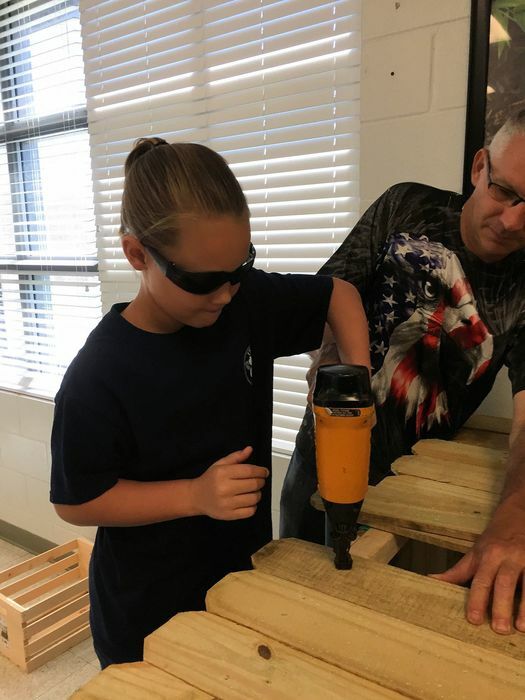 Each class is raising money for the Gilchrist County Education Foundation. The class with the most monies collected will earn a pizza party. 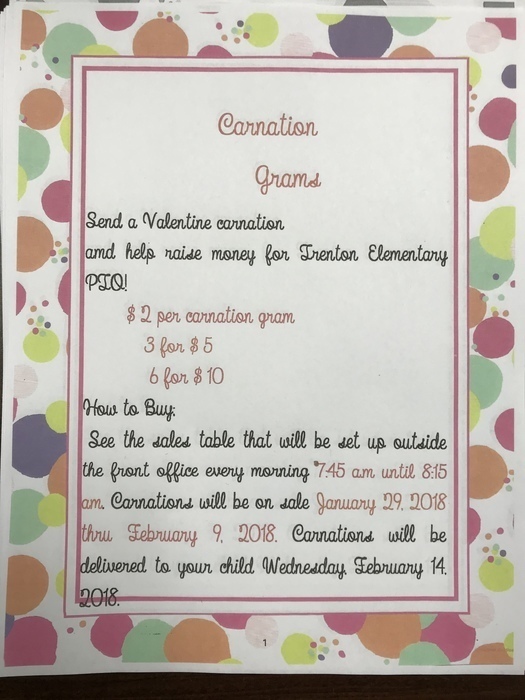 If you have questions ask your child's teacher! Welcome to the TES app!! Be sure to send students dressed in layers tomorrow for school as we will be experiencing extremely cold temperatures. This includes gloves and hats. School resumes for students on January 9. Happy New Year! It’s time for Winter Fest at TES! Join us on Friday from 6-8 pm. We will have snow, Santa, and many booths. Tickets are 5 for $1 on sale in front office and 4 for $1 at the gate. Remember that report cards for the first 9 week grading period will be going home on Thursday, October 26th. Please check your child's backpack, and contact teachers if you have any questions.